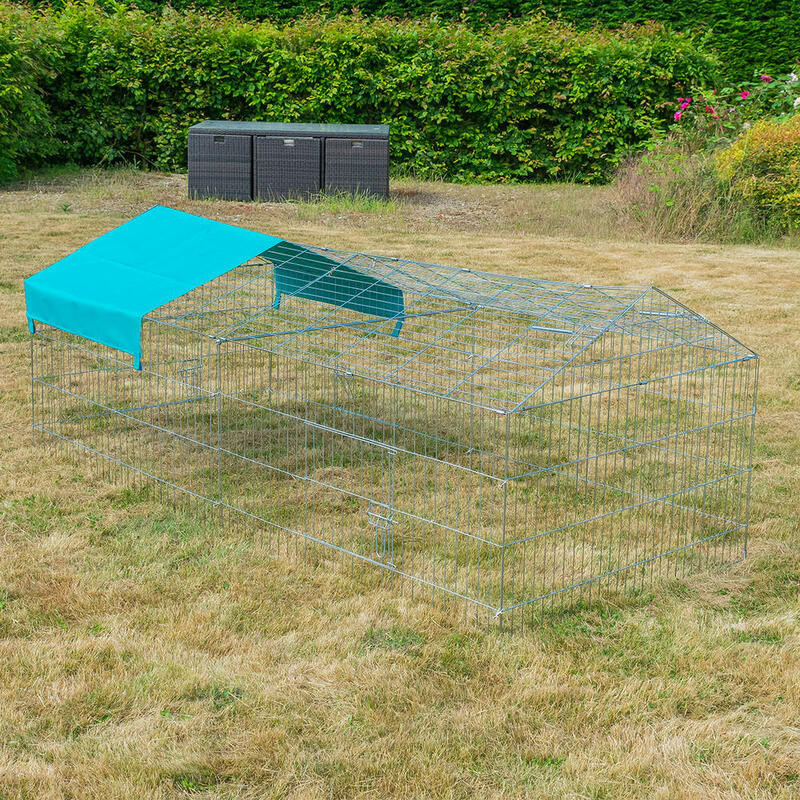 The Metal Pet Play Pens are a fantastic way of giving your pets an outdoor area where they can run around freely in an enclosed safe area. 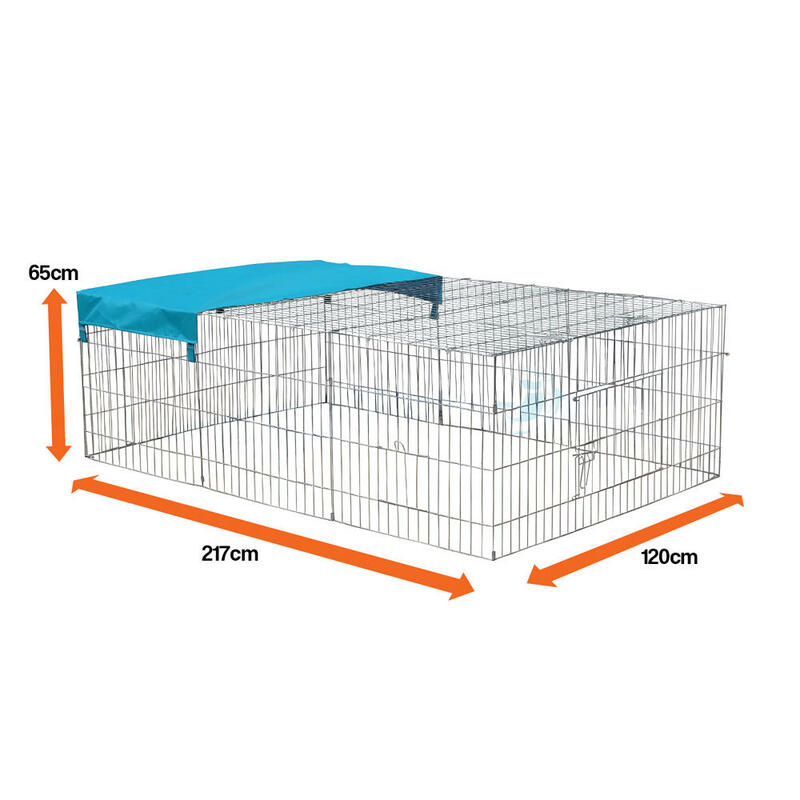 There are 2 distinctive designs and sizes available, including the rectangular and Apex design. 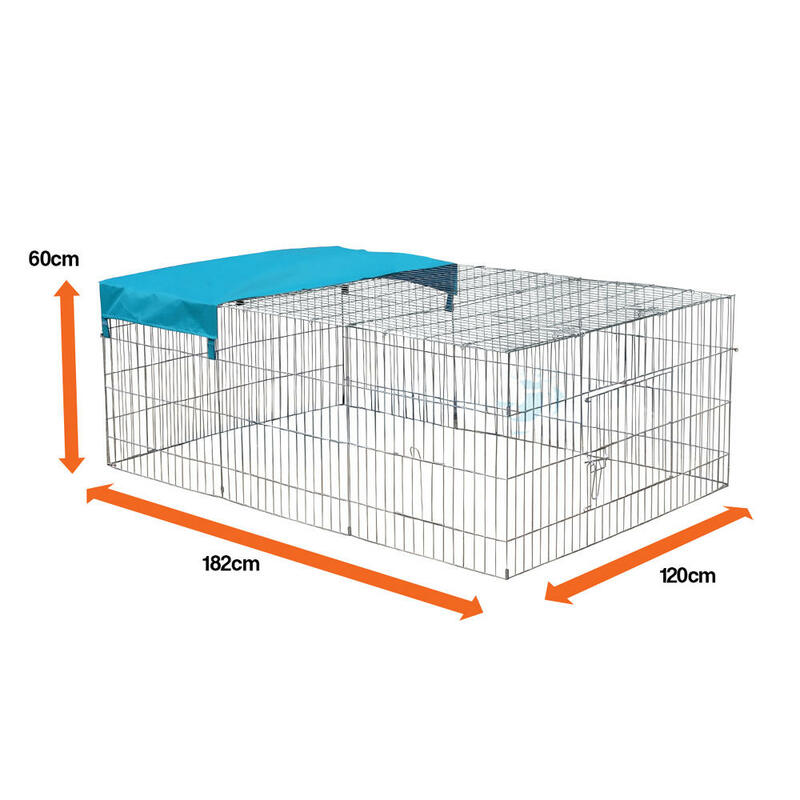 Both models feature plenty of space for your pet to roam around, whilst the Apex pet run provides extra headroom for larger pets. 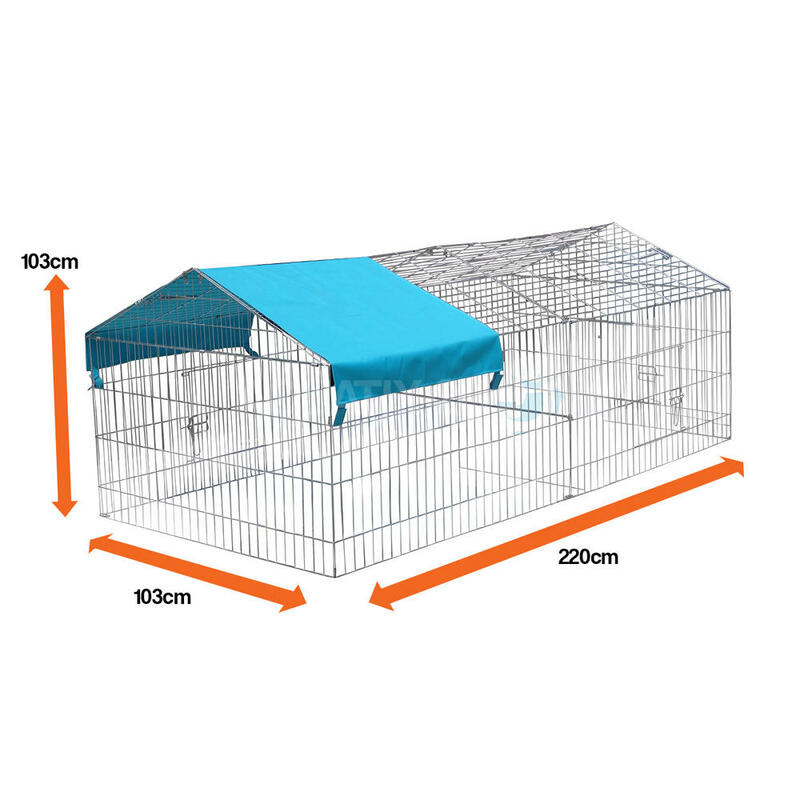 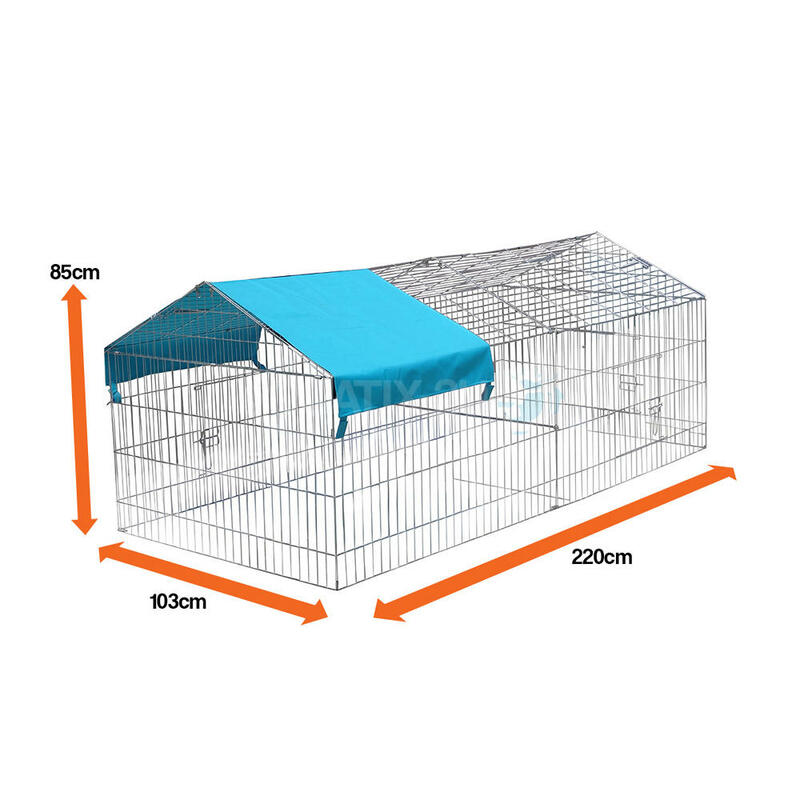 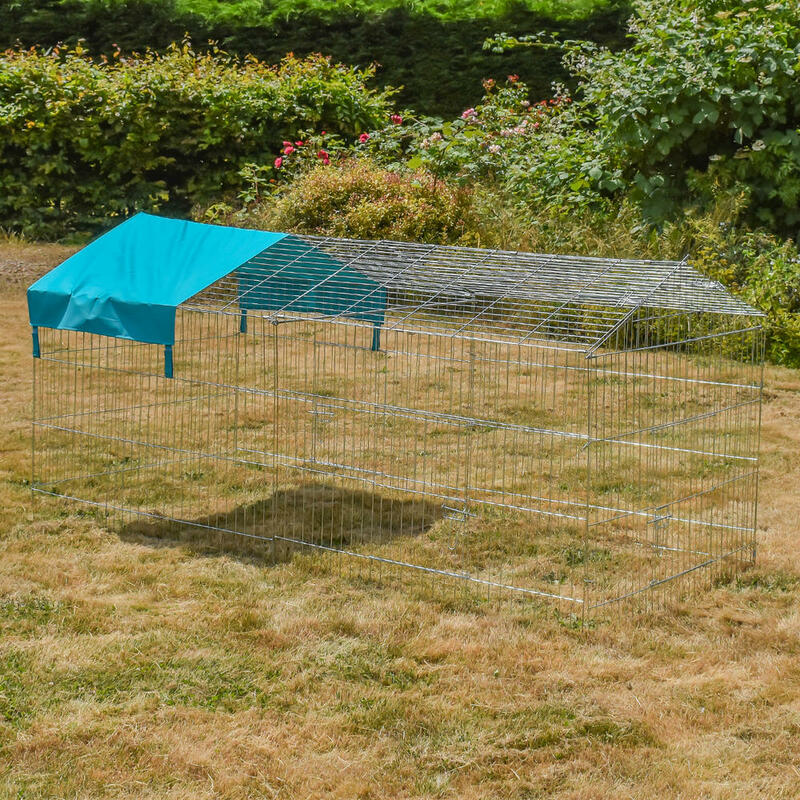 Complete with a cover for providing a shaded area, the Large Metal Pet Play Pens are easy to setup and dismantle, and can be flat packed for easy storage. 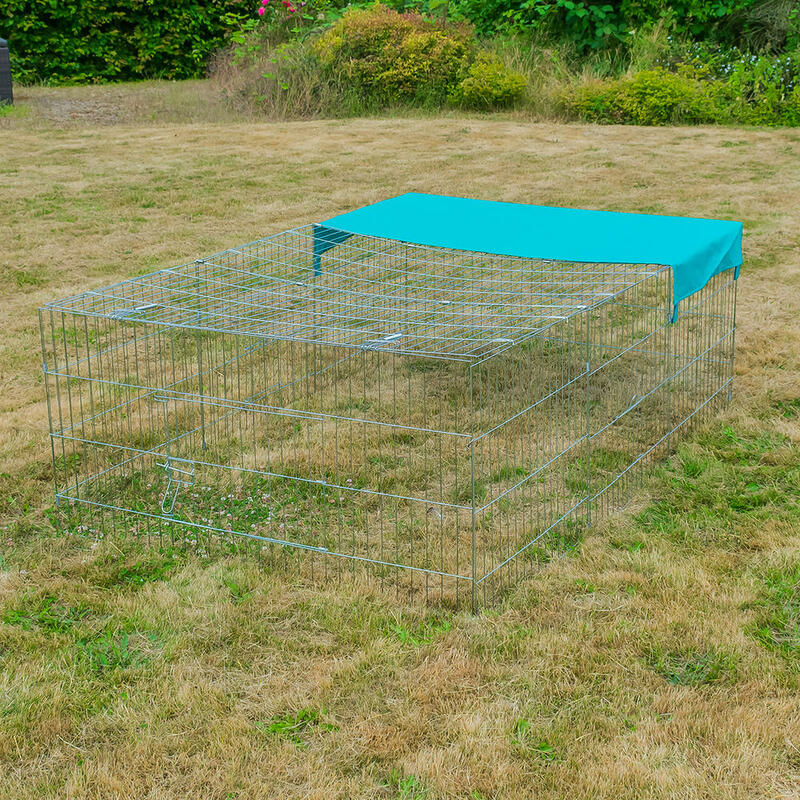 The Metal Pet Play Pens are lightweight and easy to carry about making them ideal for traveling purposes, and include clips to allow you to securely attach the side panels together. 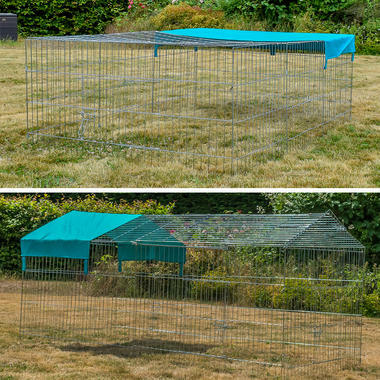 4x ground pegs are included with medium and large flat roof pens, 6x pegs are included with all large and extra large apex roof pens. 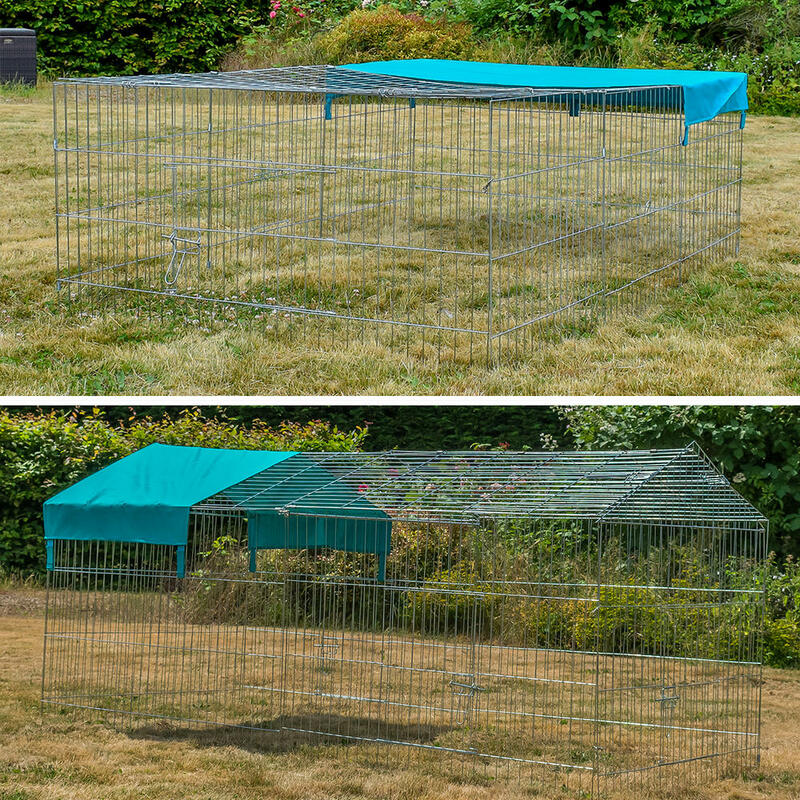 *Assembly Required, 2 people assembly recommended. 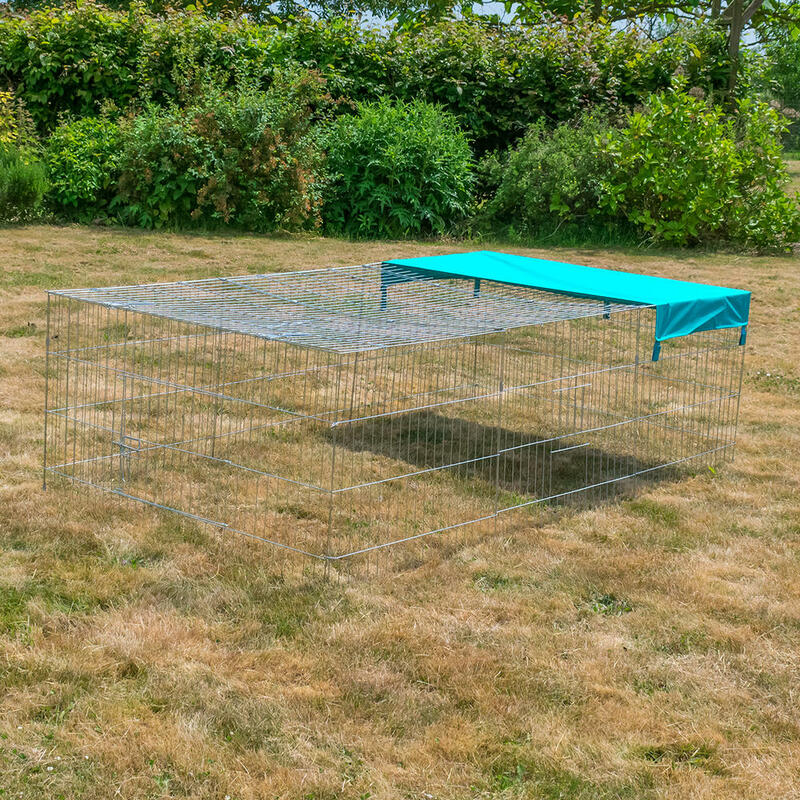 To be placed on flat level ground.